In a major new direction for the company, the latest collection includes four brand new chairs purposely designed for hotel rooms together with side and coffee tables. 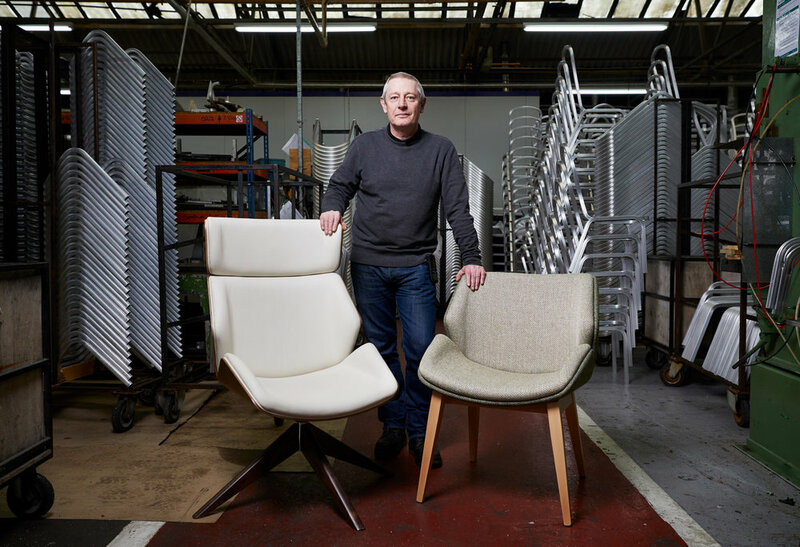 The four bedroom chairs – named Walsh, Yorath, Viram and Ryall – honour members of its team and mark 60 years of British design and manufacturing. Jeremy Burgess, Managing Director of Burgess Furniture, says: “2019 is set to be an exciting and milestone year for Burgess Furniture as we focus on new areas of hospitality, using our considerable skill and innovation to enhance guest comfort and experience. 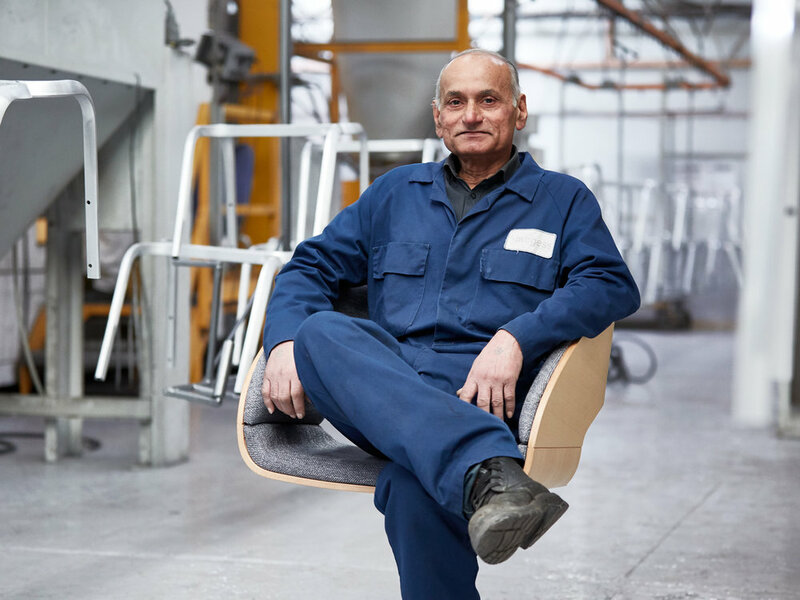 Kevin Walsh, Burgess Furniture Machine Shop Manager, is one of the employees who has a new bedroom chair named after him. Viram Khunti also has a namesake chair. He is a Paintline Operator for the company, and started his career in the stores department in 1979. The new bedroom range chairs include Walsh, named after Kevin Walsh, a Machine Shop Manager at Burgess Furniture. The Walsh chair is the epitome of sophisticated feature seating. Available fully upholstered or with a show-wood shell, Walsh offers high or low back options together with a matching Ottoman. Choose from four different base configurations including swivel chrome and wood stained options to match any bedroom interior. Yorath is named after the late Adrian Yorath, Burgess Furniture’s Financial Director from 1976 to 2000. Designed to be the feature chair of any room, Yorath has a singular base and low rounded shape. With an emphasis on simplicity, the polished 4-star aluminium base is a distinguished finishing touch that complements its easy-access, armless design. Viram is named after Viram Khunti, a Paintline Operator at Burgess Furniture. With five different base options including a castor or swivel base, Viram’s unique rounded show-wood shell is shaped for comfort and style. Ryall is named after Terry Ryall, Burgess Furniture’s Works Manager from 1952 to 2002. A flexible choice for contemporary bedroom styling, Ryall boasts a wider seat for enhanced comfort. Available with three different base options including a chrome swivel base, Ryall’s open, armless design makes it easily accessible for all guests. To find out more about Burgess, visit www.burgessfurniture.com. If you’re a journalist reading this and you’d like a copy of our press release and some high-res imagery, please drop us an email to hello@boomerangpr.com.